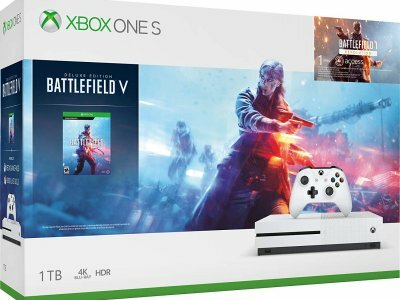 Bundle includes: Xbox One S 1TB console, full-game download of Battlefield VTM Deluxe Edition; 2 Controllers (Red/ White); Charge stand; 4 battery packs; Cables; and 8 games: (Gears Ultimate, gears 4; Bandai game pack; Red Dead 2; Assassin's Creed Odyssey; Rise of the Tomb Raider; F1 2015, F1 2016 (new, unopened) . Game passes used up, but this still would retail for close to $ 600 new. Please text if interested.